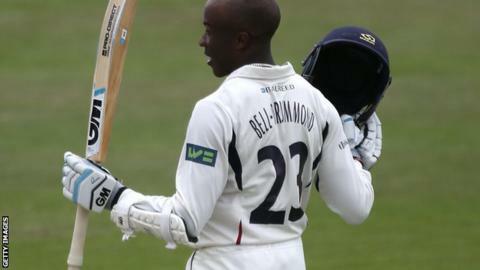 Kent batsman Daniel Bell-Drummond says the potential of the club's young players was a key factor in his decision to sign a new two-year deal. The 21-year-old, who made his first-class debut in 2011, has followed team-mates Matt Coles and Sam Northeast in committing his future to the club. "The future looks bright," the opener told BBC Radio Kent. "We have guys with massive potential - it's easy to look round the dressing room and know you want to play here." Bell-Drummond caught the eye with a flowing century against Australia at the end of June, and has been tipped for international honours by his Kent team-mate and former England batsman Rob Key. The opener scored an unbeaten 55 at the weekend to help Kent to victory over Sussex in the One-Day Cup. Kent resume their County Championship programme with a home game against Northants on Tuesday.